GREENVILLE, S.C. – Benjamin Waldrep Anderson II, died peacefully on May 16, 2015, after a five-year battle with lung cancer. Born in Edgefield, SC on August 25, 1951, he was the son of the late Joe F. Anderson, Sr. and Carmen Wilkerson Anderson. Ben had a wide circle of friends and family, all of whom were blessed by his kindness, his loyalty, and his winsome smile. He encouraged many with his determined, yet gentle spirit. While in junior high school, Ben wrote Clemson University Coach Frank Howard, promising that one day he would play football for the Tigers. He excelled in sports in high school, helping the Strom Thurmond Rebels win their first state football championship. Despite being named the Class A Back of the Year, he was not recruited by any college. At 6’ and 170 pounds, he was deemed too small for college athletics. Undeterred, Ben enrolled at Clemson and walked onto the football team, fulfilling his vow to Coach Howard. By the time his playing days were over, he had started every game of his college career as a free safety, was named team captain, was selected for the Academic All American team, and helped to reestablish the tradition of Running Down the Hill prior to kick off in Death Valley. In 1997, Ben was inducted into the Clemson University Athletic Hall of Fame. Following his graduation from Clemson, he obtained his J.D. degree from the University of the South Carolina School of Law and then immediately returned to Clemson as Assistant General Counsel. Seven years later, he was named General Counsel and Secretary to the Board of Trustees. During his 28-year career with the school, he served under five presidents. 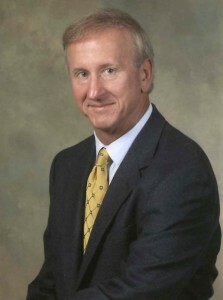 Following his retirement from Clemson in 2005, he became an avid tennis and golf player, and worked as a volunteer with the South Carolina Special Olympics. When Clemson Memorial Stadium was constructed in 1943, the players entered the field from the east side of the stadium, that being the closest point of entry from the dressing room at Fike Field House. This required the players to run down the grassy area behind the east end zone to enter the playing field. This was usually done without great fanfare, because many of the fans were not in their seats when the team entered for the pre-game warmups. When new dressing rooms were constructed under the west end zone stands in 1970, the practice was discontinued because the players now entered the field from the opposite end. During his career, Ben intercepted nine opponents’ passes, and led the team in tackles in 1971 and 1972. He also had a decorated academic career and was the recipient of several university and Atlantic Coast Conference awards, including the Frank Howard Award, given annually to the student-athlete bringing the most honor to Clemson. Ben was a member of Grace Church in Greenville. He is survived by his devoted companion, Kristy Cheek; his three brothers, Joe (friend Stacey), Greg (Patti), and Jeff (Melanie); and nieces and nephews Dr. Carmen Traywick (Bernie), Ashley Jones (Josh), Fletcher Anderson (Carrie), Amanda Mellard (Brian), Julie Honeycutt (Jake), Jeffrey Anderson, and Bethany Anderson. The family will receive visitors at Thomas McAfee Funeral Home, 639 North Main Street, Greenville, SC from 6:00 to 7:30 p.m. on Tuesday, May 19, 2015. The funeral service will be held Wednesday, May 20, 2015 at 2:00 p.m. in the auditorium adjacent to Tillman Hall on the Clemson Campus. Interment will follow at Cemetery Hill behind the football stadium. Memorials may be made to the Special Olympics, 1276 Assembly Street, Columbia, SC 29201, the American Cancer Society, 154 Milestone Way, Greenville, SC 29615, or the Boy Scouts of America, 715 Betsy Drive, Columbia, SC 29210. One Response to "Benjamin Waldrep Anderson, II"
I am very saddened by Ben’s passing. I remember some great times spent playing in his backyard in Edgefield. He and his brothers were always big Clemson fans and loved all sports. His father and mother were wonderful people and tolerated all the neighborhood kids congregating there.